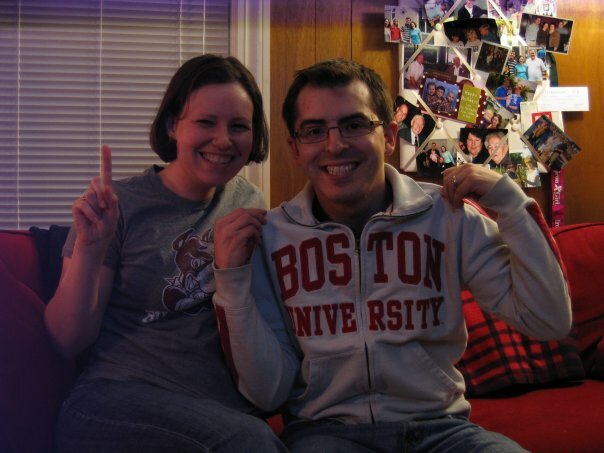 Back when I was deciding where to go to college, I sent away an application to Boston University (along with about seven other schools). I wanted to go somewhere where I didn't know everyone and where I could have a new experience. When it came time to pick a place, I figured why not try something new? So I packed up a car full of stuff and headed east from my suburban St. Louis home and landed in the heart of Boston. 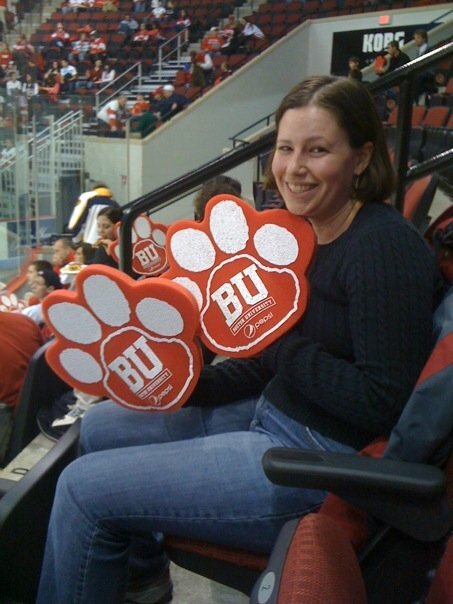 I couldn't have imagined that 10 years after arriving on campus that I'd be back to BU as an employee. On my first day of work I ran into my first professor in the elevator and almost had a panic attack that I forgot my homework! Almost four years later I'm approaching my 10 year reunion and still heading into the School of Management everyday for work. I had a great experience as a student and am glad that I can continue my connection to BU. Coincidentally, this weekend is Alumni Reunion Weekend. While I'll be working for part of the weekend, I'll also put on my favorite scarlet & white BU shirt to cheer on the men's ice hockey team from our season ticket seats! About a month ago I got an email from Lily Keung, a BU student in the School of Management, asking for help with a school project. In the junior year at the School of Management, students work in teams to develop a new product and build a business plan from scratch. I gladly agreed to take part in a focus group - not only was it a BU project, but it also had to do with a cooking product! After the focus group, Lily asked if I could help her team gather some feedback on their product. I hope that you'll take a few minutes to read below and fill out her team's survey. It's short, fun, and an interesting new product to consider! My name is Lily and I currently attend Boston University. As Juniors in the School of Management, we are working on a semester-long project that involves teams of students creating a new product and developing a formal business plan. A large portion of this project involves getting feedback from consumers of our product to refine our target market and overall marketing strategy. Our product is in the category of bakeware, and thus we are reaching out to all those who love to cook and bake! If you would just take a few minutes to fill out our online survey, we would really appreciate it. Please also pass it around to anyone who loves to cook and bake around you (relatives, roomies, etc)! Lastly, thank you to Lara for hosting us on her blog. 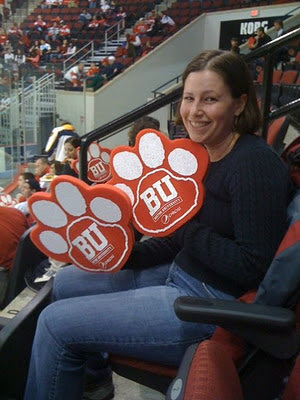 BU Love! Survey deadline is Tuesday, November 2. Please feel free to contact me with any questions/concerns!